Meanwhile on . . . I can only think of one way to describe these truffles: luscious. 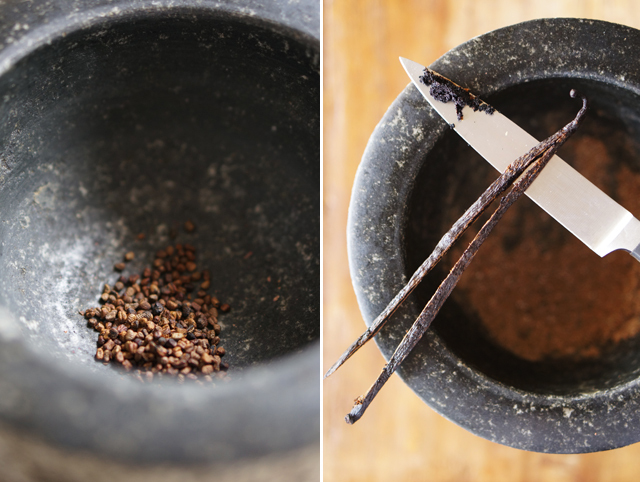 They’re infused with fragrant cardamom and vanilla and have the most amazing texture. Truffles are typically made with heavy cream, but these are made with egg yolks, which creates a silky texture that pales in comparison to a truffle made with cream. When I first saw this technique in a recipe by Alice Medrich, I knew I had to try it. I love the idea of conversation hearts so simply turned these into “conversation truffles” and used these stone letter stamps to customize my own. 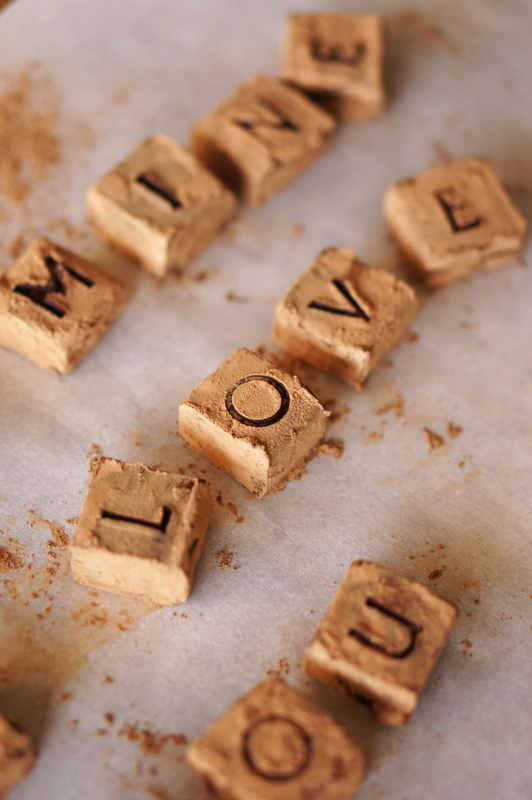 These are a must make for your loved ones- they’re easy to make and oh so impressive! Prepare the spices by grinding the cardamom seeds until a fine powder. You can do this either in a mortar and pestle or in a spice grinder. Scrap half the vanilla bean. Set aside. Chop the chocolate. Make sure the pieces are roughly the same size so everything melts evenly. 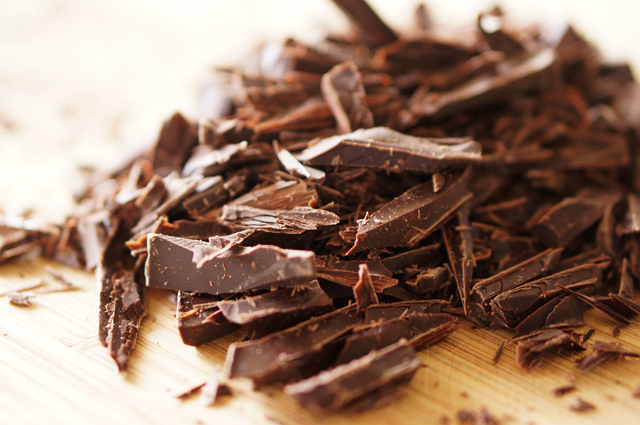 Combine chocolate, butter and salt in a medium pan and heat over low-medium heat and stir until all melted. Add cardamom and vanilla. Set aside. 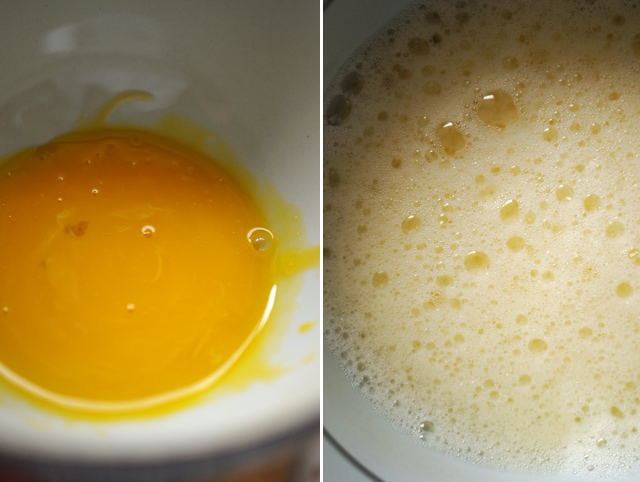 Place two egg yolks in a bowl and whisk. Slowly pour the hot water down the side of the bowl while whisking the egg yolks. Pour very slowly and in a thin steady stream while whisking so the hot water does scramble the yolks. Continue whisking until all the water is incorporated. Strain through a fine mesh sieve. 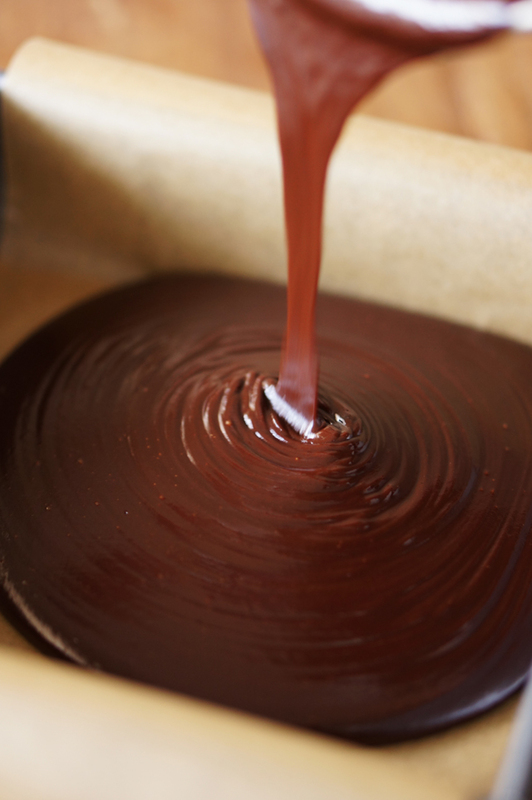 If using a stand mixer, pour chocolate in the bowl fitted with a whisk. Whisk on medium high speed and pour in egg mixture. Beat until completely incorporated. 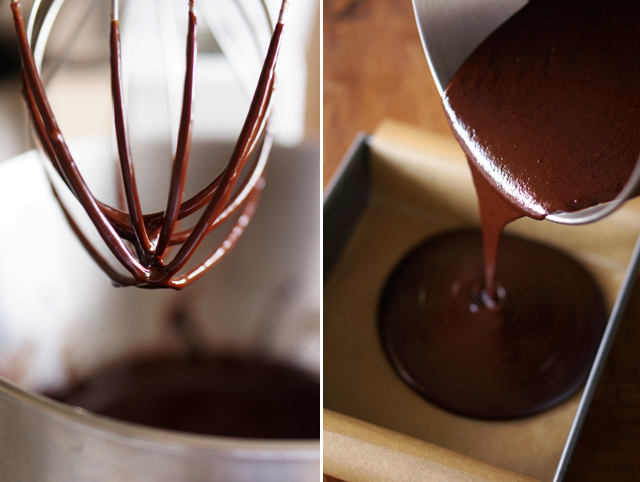 You can also whisk this by hand by adding the egg mixture into the chocolate and whisk until completely incorporated. 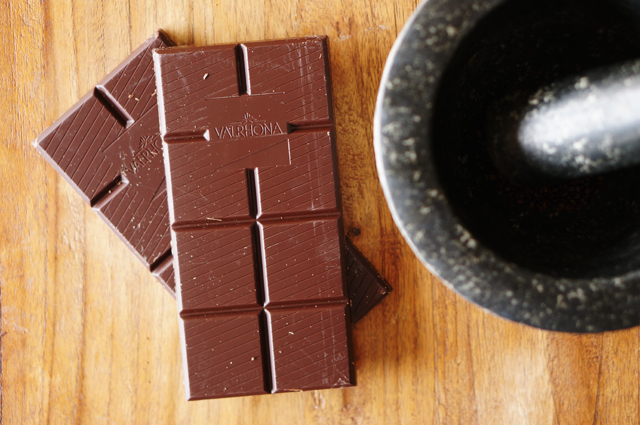 Line an 8 x 8 inch pan with parchment paper and pour chocolate in. Refrigerate for 1 hour and then transfer to the freezer for another 1/2 hour. You can also refrigerate it overnight. Run a knife along any edge touching the pan and remove. 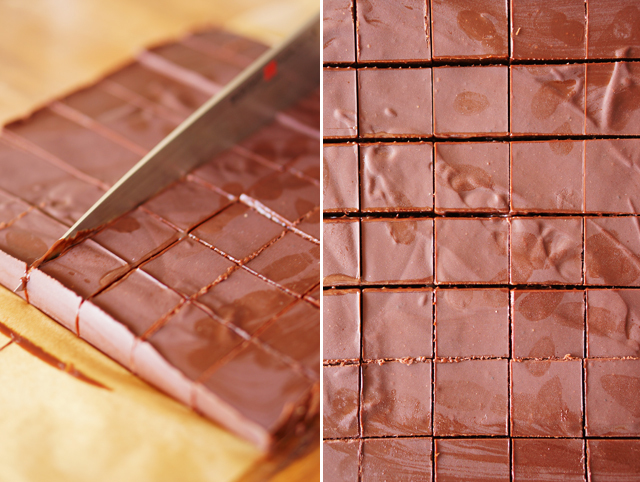 Cut into approximately 1 inch squares. To make clean cuts, fill a tall glass with boiling water and after each cut, dip it in the cup of hot water and wipe clean with a paper towel. 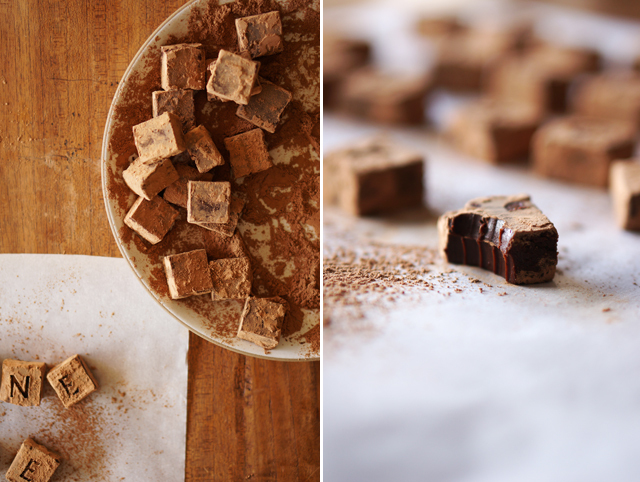 Toss the squares in a plate with the sifted cocoa powder. 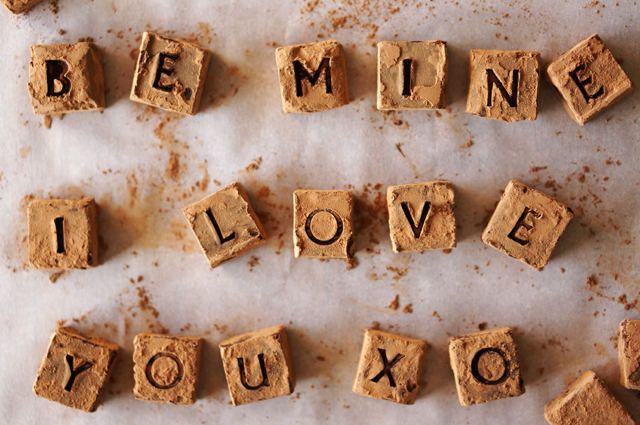 If you are using the letter prints spray the stamps with a little oil. Imprint each truffle with the stamp. 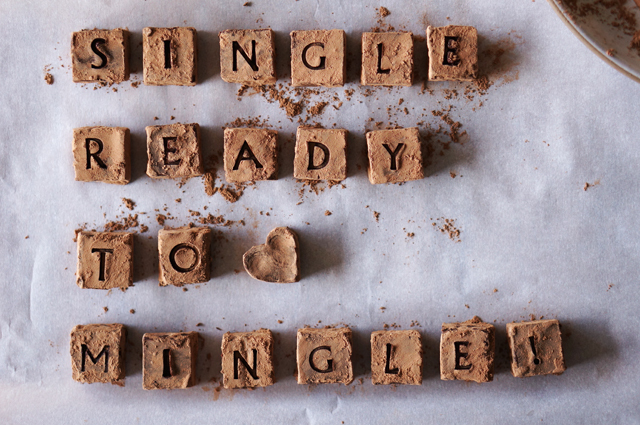 Wipe and oil the stamps before using again.
. . . or maybe you’re celebrating single-hood! for creating new web site or even a blog from start to end. taste has been surprised me. Thank you, very great post. to read this webpage, and I used to pay a quick visit this weblog all the time. System kontroli wycieku wody Posejdon służy do wczesnego wykrywania i lokalizacji nieszczelności w systemie domów, mieszkań i instalacji przemysłowych. System blokuje przepływ wody, aby wyeliminować przyczyny nieszczelności i informuje o tym wypadku. How cute! 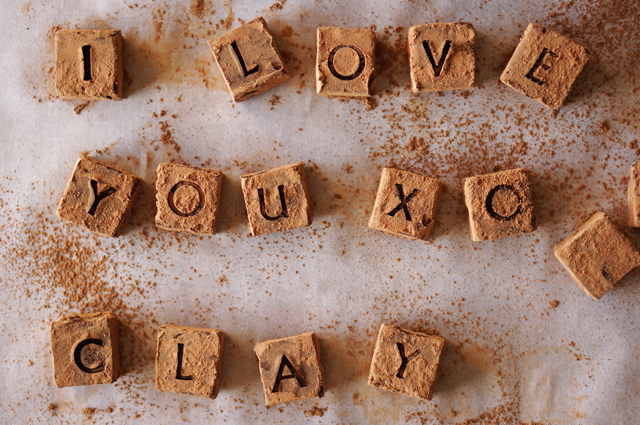 And cardamom and chocolate sounds like a great idea. I’ve never had it before. I’ll have to try these out! What a data of un-ambiguity and preserveness of valuable knowledge regarding unpredicted emotions. 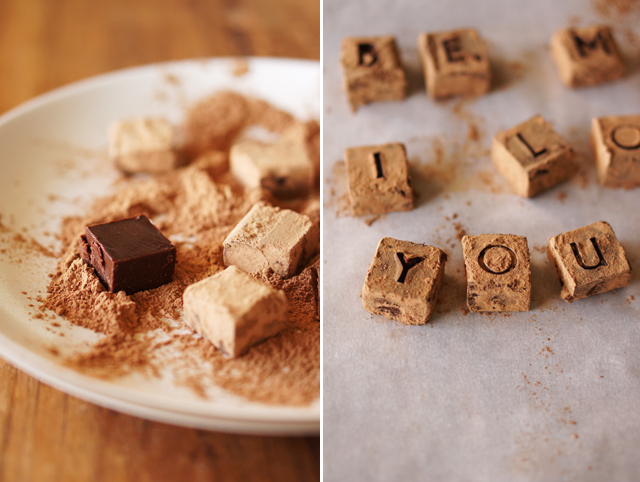 Be mine, cardamom truffles! What a stunning post, Karen. I just love these. Well isn’t this “sweetheart” of yours a lucky guy? 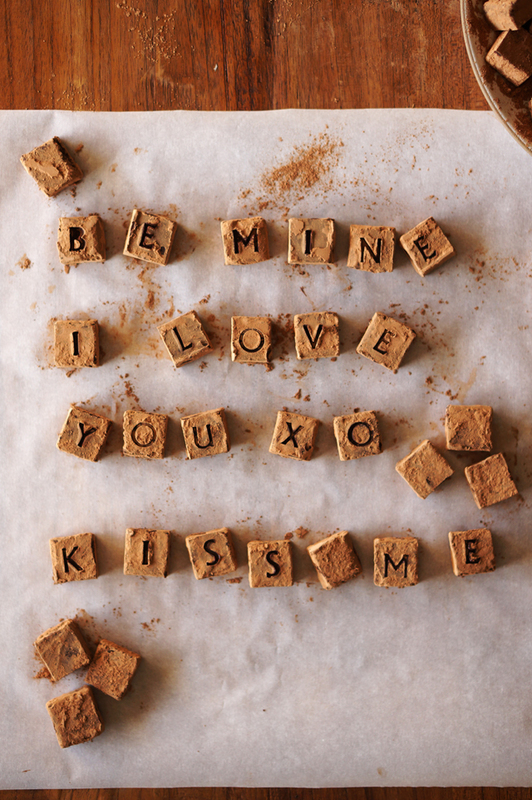 This is the cutest idea for Valentine’s Day! I love it!! These look so luscious and decadent. OH my goodness. I love these. Not only do they look great, but they are so cute! Couldn’t pin these fast enough — and I love that you flavored them with cardamom! Wow. What do the stamps look like? ahh! whoever gets to be your valentine is the luckiest human! these look insanely good.